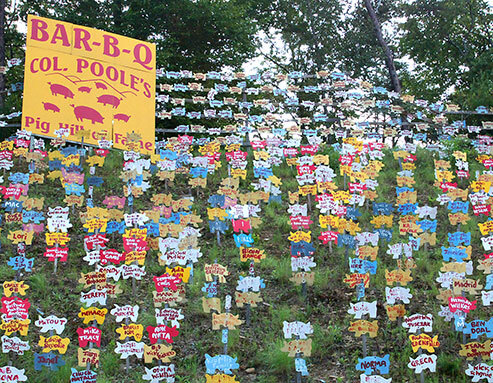 I have a sign collection. No, not a real one...I don't actually HAVE any signs...what i mean is, I take pictures of signs. Why? 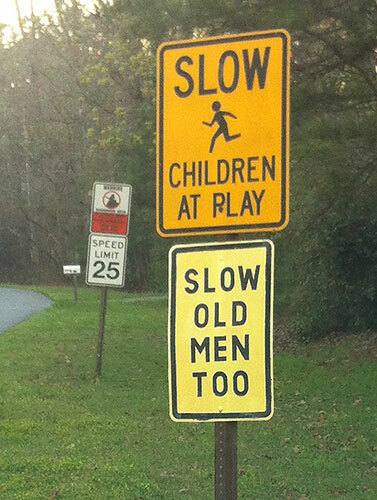 Throughout the years, I have run across various signs that strike me as funny, or silly, or incongruous...and I take a picture, to add them to my "collection." 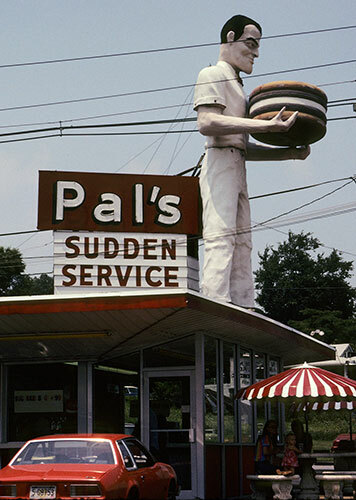 What is "Sudden Service," anyway? We've all heard of prompt service, but "sudden?" Does that mean, just when you least expect it, you are startled by your server showing up with your food? 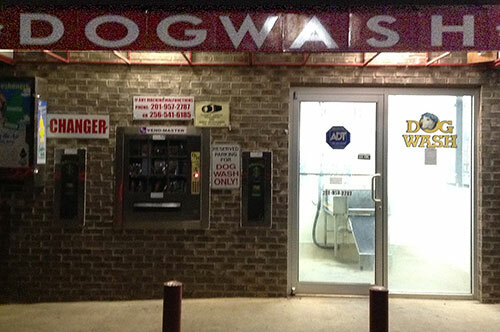 (Both of these chains, by the way, are apparently still in business!). 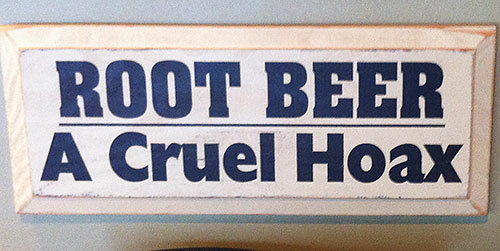 So, that's how I started my fateful quest to create a "sign collection." On the door of my bank in Ohio: "Premise Alarmed." Why was it alarmed? Was it frightened...perhaps by some "Sudden Service?" In front of a bank in Boston: "Electrically Heated Sidewalk." 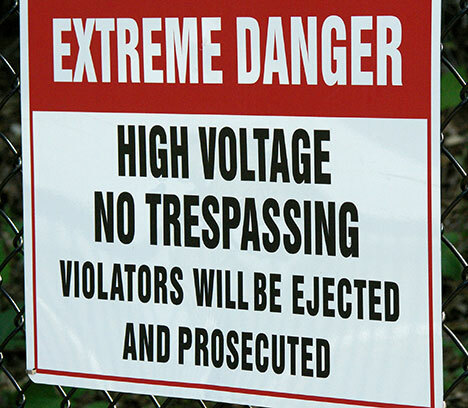 Um, O.K., but why bother with the sign? If the sidewalk is clear of ice and snow, isn't that sort of self-evident? And then, there were the signs all over the beaches where we would vacation as a family as I grew up, telling us not to picnic there...the word, by the way, is spelled "picnicking"...the signs all said, "NO PICNICING." So of course, to this day, our family will talk about going "Pick - nice - ing!" 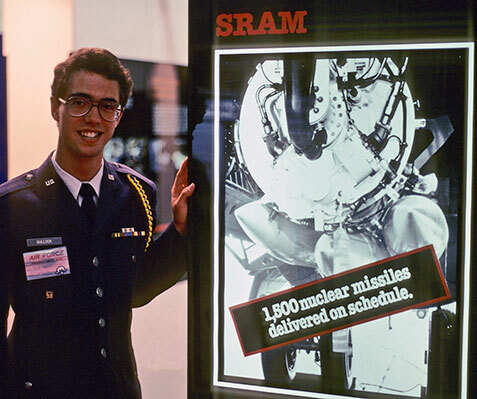 1,500 nuclear missiles delivered? Remember, an ICBM is called a "delivery system." So...who were they "delivered" to? Russia? China? Did they explode like they're supposed to? Did World War Three happen, and I wasn't paying attention? So, how does that work? 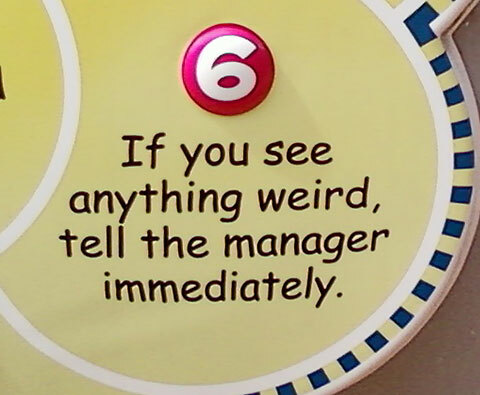 "Hey, Mister Manager? There's my little brother...and he's weird!" Is it just me, or does this sound like an admission of failure?... 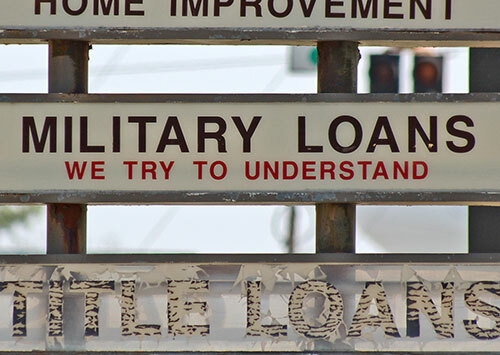 "Yeah, we try...but it's hard...you military car buyers with no money are very difficult to understand..."
Scripturally, of course (see Isaiah 59:4) we all qualify...so everyone's welcome here! 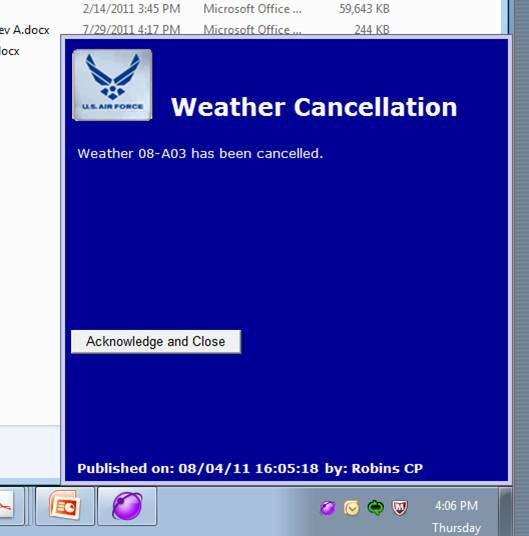 Is this like saying that all weather is disapproved? Did someone not submit the right paperwork? What, exactly, will take the place of the weather? If you look carefully, you'll see it says "SHOOING." Huh? Do they have an insect problem? 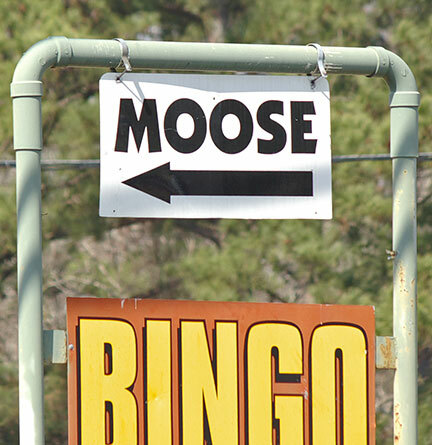 Or does that mean, "If you're not here to shoot, go away – shoo!" 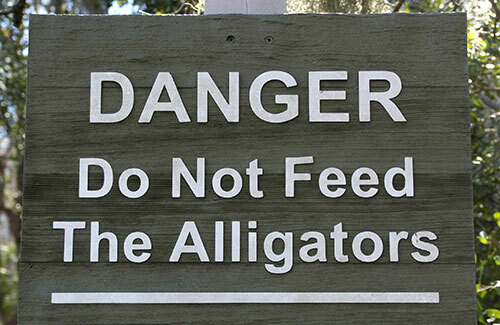 ...but, it's not every day that you see this warning as you ride your bike! 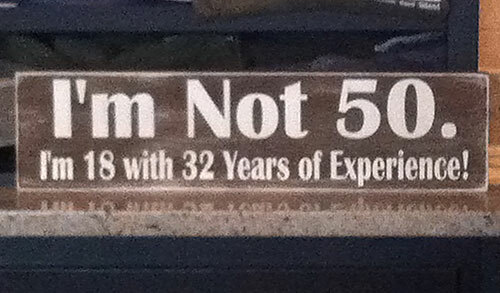 He saw this sign one day before his 51st birthday! While not strictly a sign, Dan was amused by this one: it's the label on a can of gunpowder he uses for reloading his .38 Special and .45 caliber cartridges. 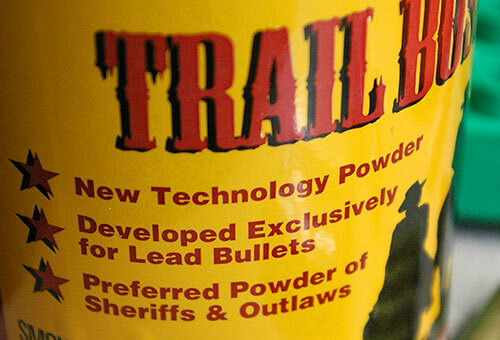 Background: this gunpowder (called Trail Boss) is a fairly new product, introduced in 2005 (note that it says "New Technology Powder"). The funny part is the last line: "Preferred Powder of Sheriffs and Outlaws". Huh? "Outlaws??" I wonder what they're teaching people in marketing school...or are they just having fun with us? Seen on a refrigerator, at a house in Maryland, where we went to a concert of Robin Bullock's. 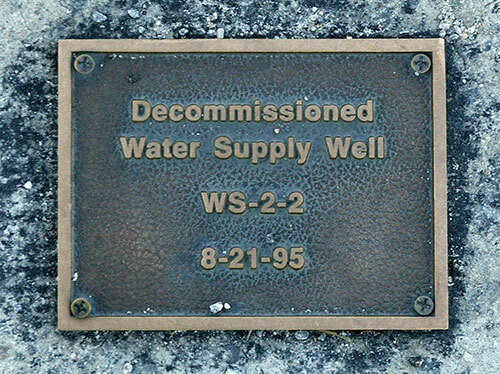 Um, o.k...but is it really worth commemorating with a brass plate? 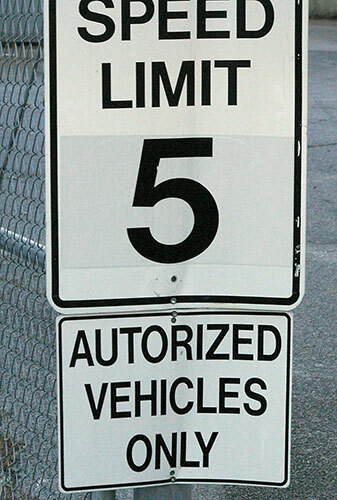 What, exactly, is an "Autorized Vehicle?" 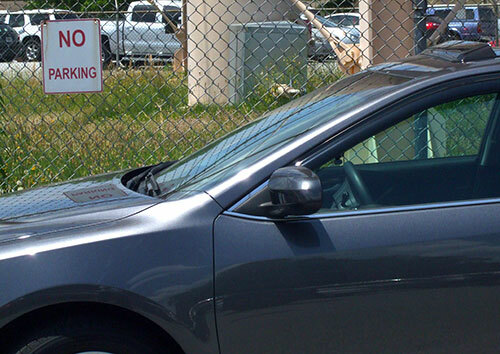 Most vehicles these days are automotive...unless this means no horses and buggies allowed? I'd call this an unfortunate juxtaposition of section titles...wouldn't you? 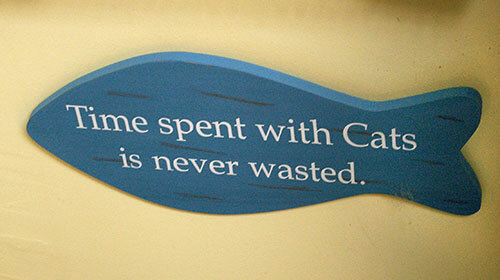 A friend sent us this one (thanks, Betsy!). 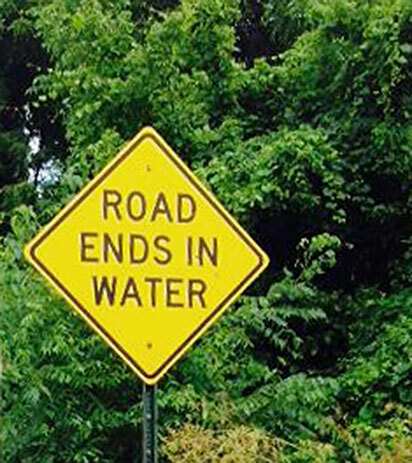 I guess it's good information to know...but aren't roads supposed to be designed NOT to do that? I agree! (Hooah!) ...and remember..."Peace Through Superior Firepower!" The sticker itself is from LaRue Tactical, a manufacturer of sniper rifles. 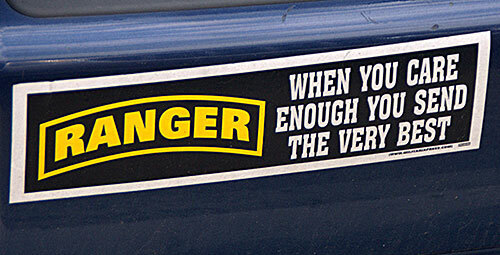 The "Ranger" emblem is the shoulder tab of the U.S. Army Rangers, our premier light-infantry special forces...so, at what they do...they ARE the very best! Given the structure of the family (see the stickers in the upper left), the vanity plate makes sense. 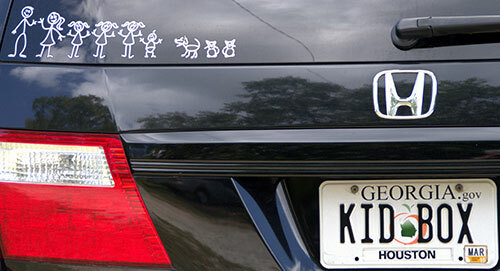 Can you think of a better name for a family van? 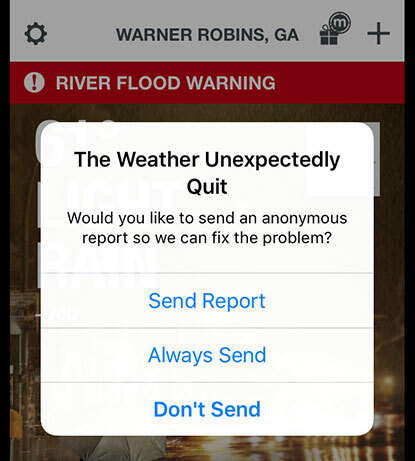 What should we do when the weather quits? How will they "fix the problem?" By hiring some new weather, maybe? So, is this a real thing? 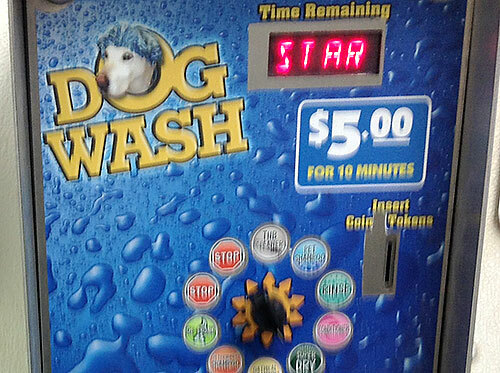 Just think – self-service dog washing, for only $5.00! 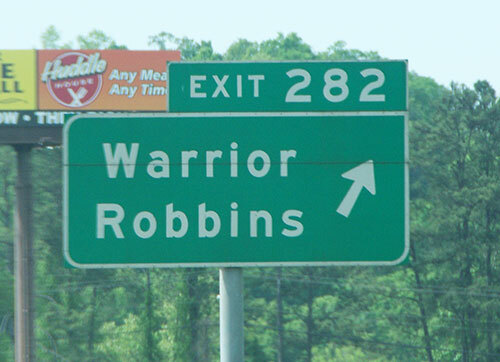 Even though they are names of two separate towns in Alabama, it makes a great euphemism for for our town of Warner Robins! Another one in the category of "unfortunate juxtapositions," don't you think? 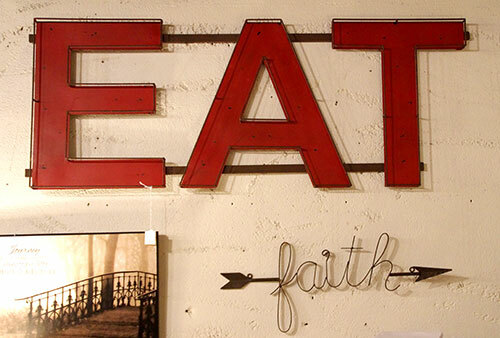 And, P.S...does the arrow signify the faith is found over there? 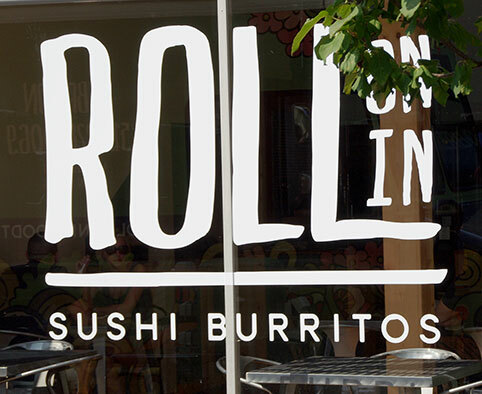 How would you even make a sushi burrito?